I love how easy it is to throw things in a blender and come out with a healthy, filling snack or meal. It’s an easy way for me to get more protein and greens because I’m notoriously bad at eating enough vegetables throughout the day. 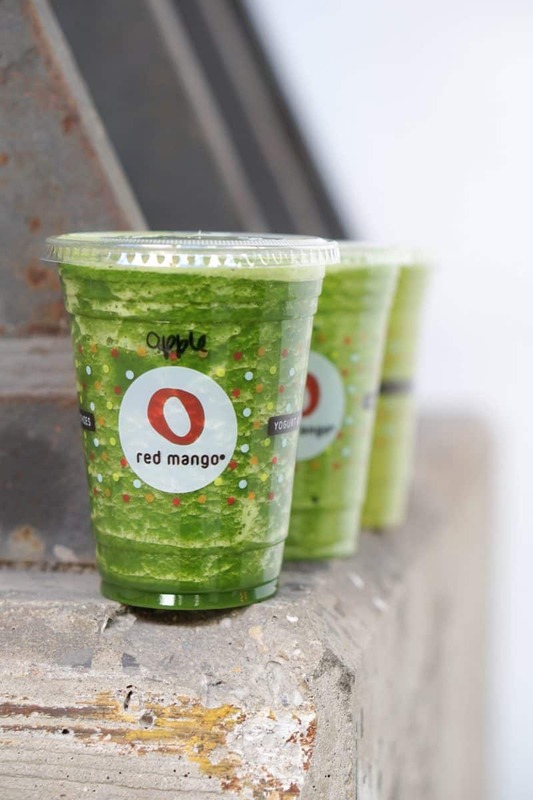 Smoothies are popular at gyms and even their own stand alone stores. The problem with some of these smoothies, however, is that many of them aren’t as healthy as they seem to be. There can be added sugar, unbalanced nutritional profiles, and inappropriate portion sizes. In order to make sure you’re actually getting a healthy option when ordering out, here are some quick tips! Obviously the most important part of a smoothie is what’s inside it. Most places list their ingredients on the menu, so make sure you’re reading what’s being blended up instead of just choosing a witty name that sounds good. Once you can see the ingredients, you can make an educated decision. If they don’t have the info in the store, you can often check online to see ingredients and nutritional profiles of their smoothies. Fruit is delicious and wonderful, but it also gets a bad rap from many health enthusiasts due to the amount of sugar it contains. I eat fruit like it’s going out of style, so I’m not particularly worried about it — unless it’s in a smoothie. To clarify, the amount of fruit I can drink vs. the amount I can eat are a different story. If I were to eat the same amount of fruit found in most smoothie blends, I would be far fuller than if I drank it blended together. The reason I caution against all-fruit smoothies is because combining so many fruits can lead to very high levels of sugar without a lot of nutritional benefit. If you want fruit, either eat it or mix a smaller amount with something that will give you an additional health benefit such as protein or greens. Protein is an important macronutrient in our diets. Whether you get it from plant or animal products, we need external sources of protein to supply amino acids our body can’t produce. Most importantly for me since I exercise frequently, I need protein to help maintain and rebuild muscles that are broken down during exercise. It’s a large part of my diet and helps keep me satiated longer after eating. Many smoothie locations now offer protein options, both vegan and not. If the listed smoothie doesn’t contain protein, ask if you can add some. If you’re better at advanced planning, you may bring some of your own to add. Double check smoothie options that are advertised as “high protein.” These sometimes include additional ingredients that turn your healthy smoothie into a gluttonous indulgence that resembles a dessert and can come in at more than 600 calories. I love a good green smoothie and it’s rare that I will make one without any kind of vegetable. If you’re new to green smoothies, start with a small amount of spinach as it is virtually tasteless when combined with fruits like pineapple or banana. In order to make smoothies taste even better, in addition to using a lot of fruit, some establishments will also add sugar or sugar substitutes to their smoothies. This includes using fruit juices as a base, since many contain additional sugar. 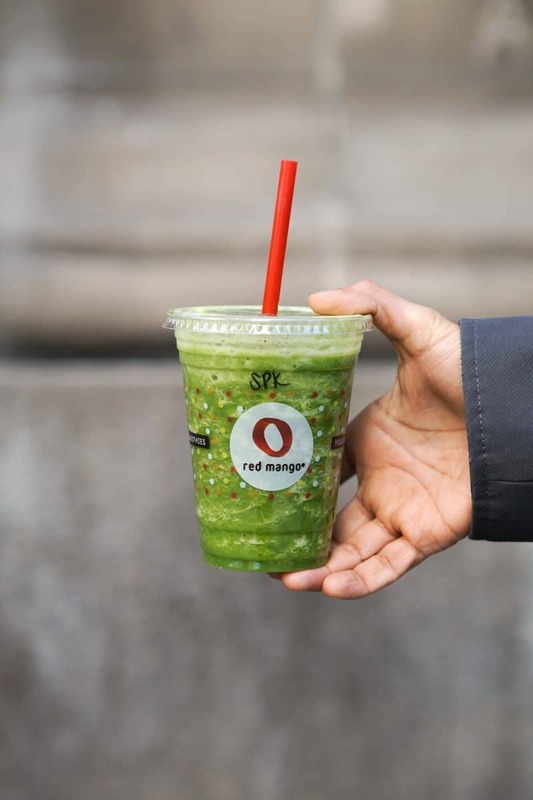 Although the green smoothies at Red Mango use fruit juice as the base, you can easily change that if it’s something you’re interested in limiting (as I did for some of the ones I tried). Simply ask if they can use water or a milk product (dairy, almond, soy, etc.) as the base of the smoothie to minimize additional sugar. 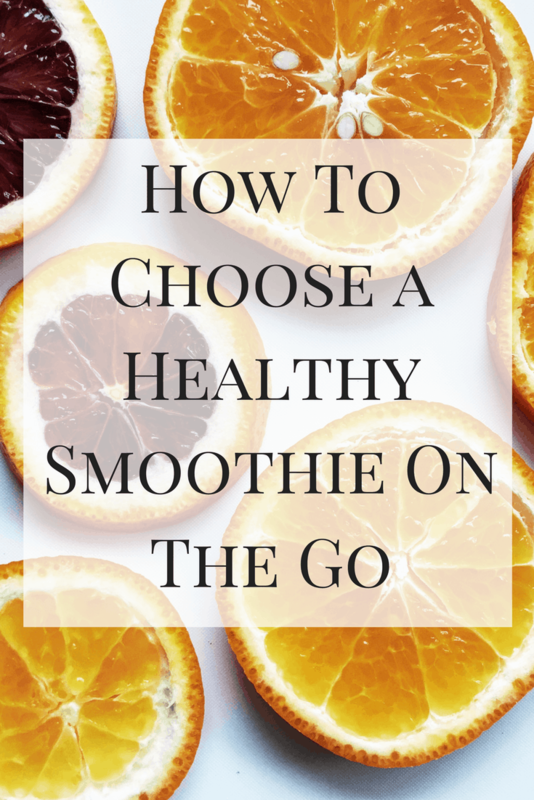 Ultimately, with a little bit of knowledge about what makes a healthy smoothie, you can stay on track even when you’re on the go. 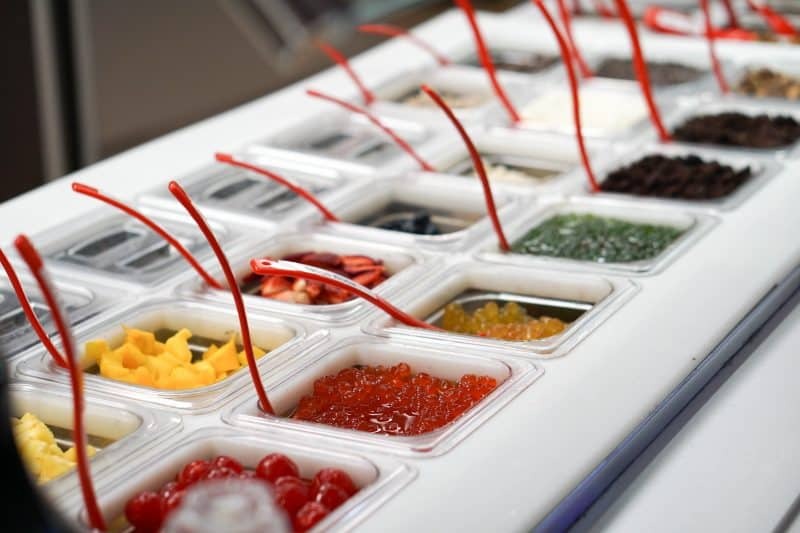 Don’t be afraid to ask about different options and ways to customize your order in order to maximize what you get out of it. Great tips! Do you have Saxbys around you? They have a really nice green machine smoothie that I love to get every now and again…no added sugar! I don’t usually buy smoothies, but these do seem like really good tips! I like the tip about protein especially because I think having that extra protein doesn’t make me crave more sugar. And I do like adding veggies to smoothies too, so they aren’t quite as sweet.